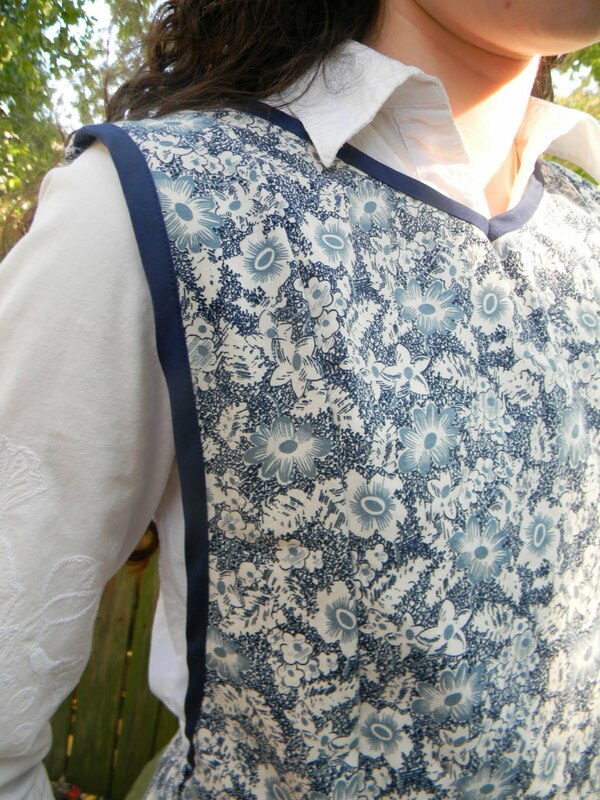 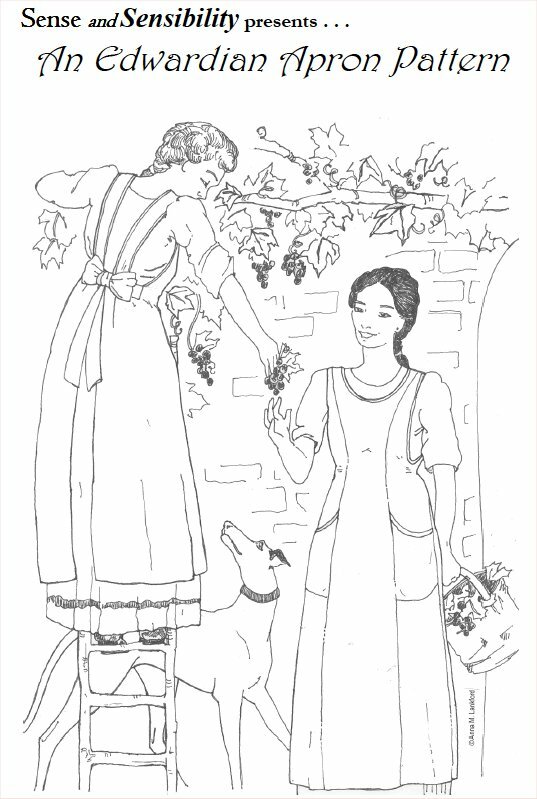 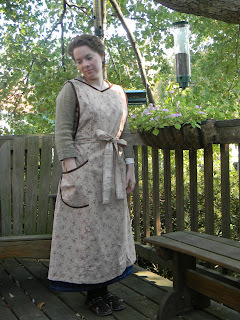 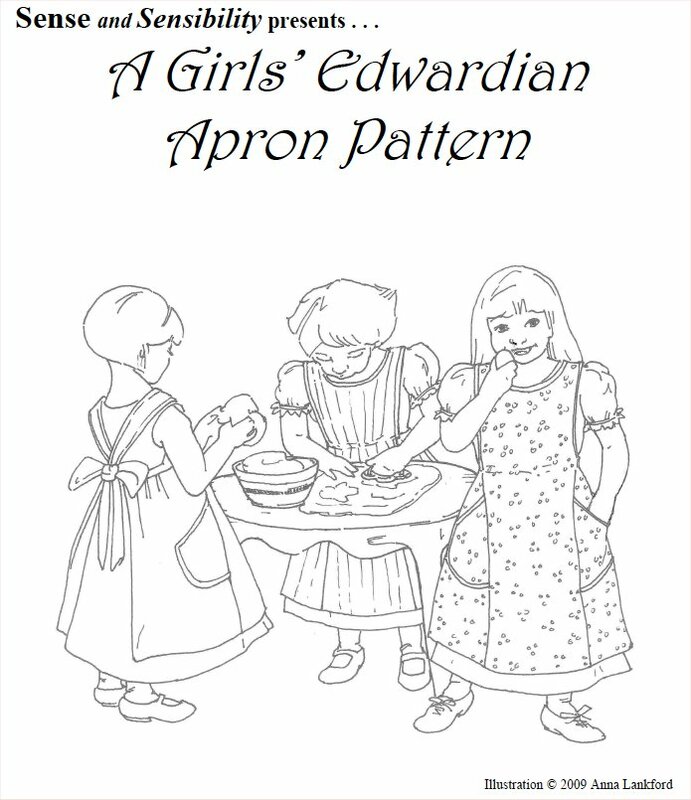 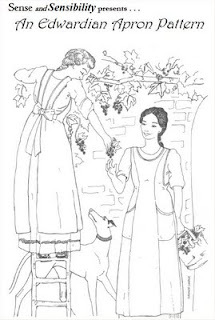 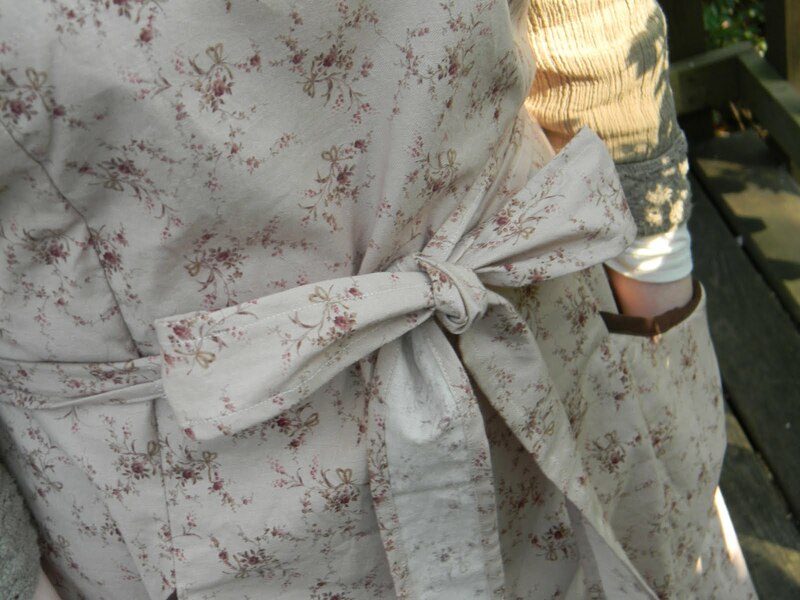 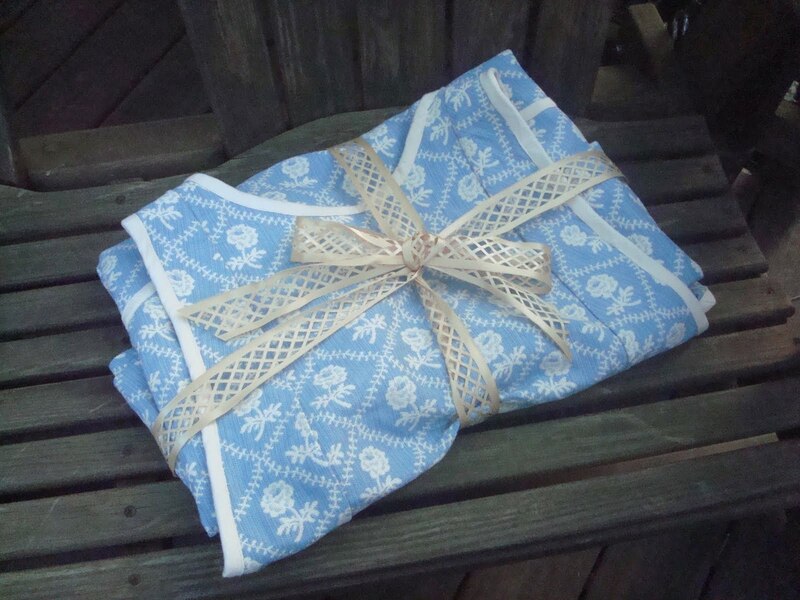 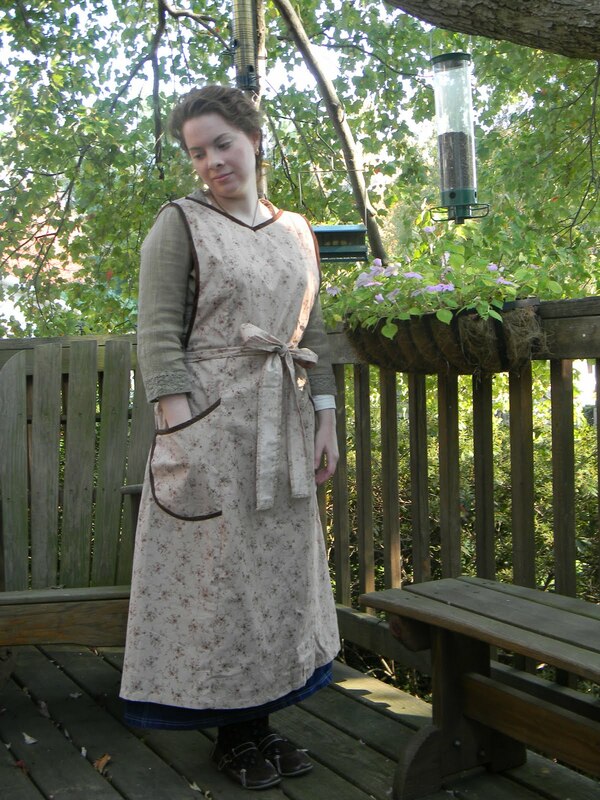 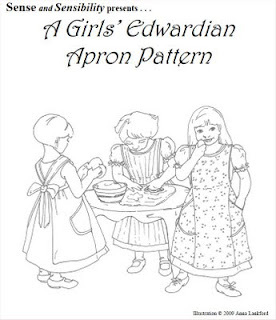 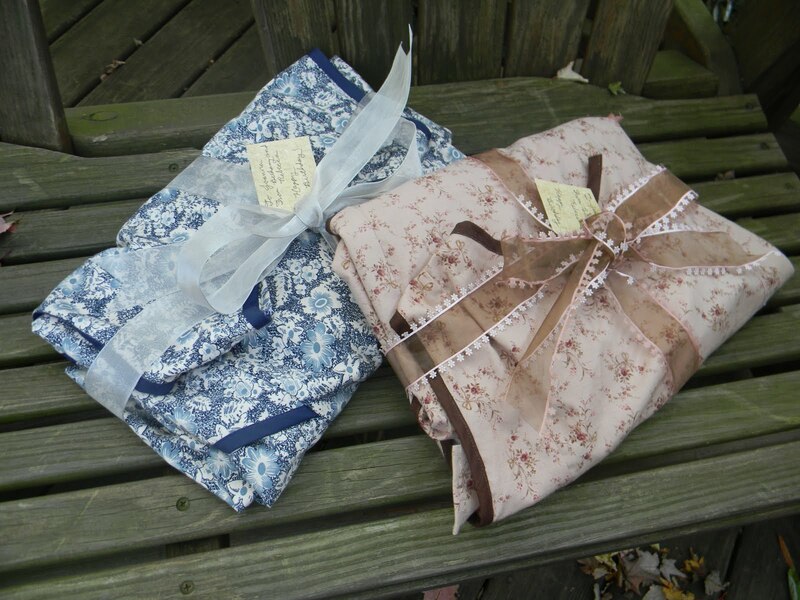 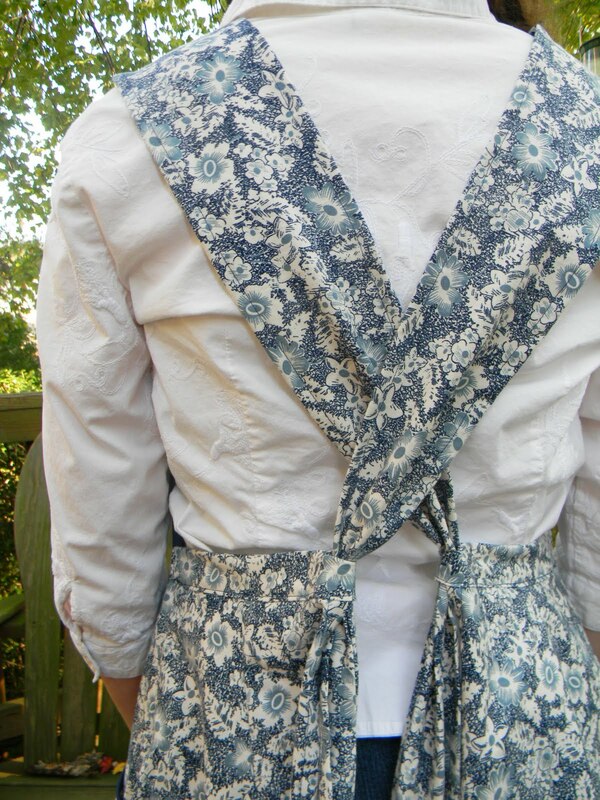 Practically Pretty by Design is privileged to offer Edwardian Aprons from the pattern published by Sense and Sensibility. 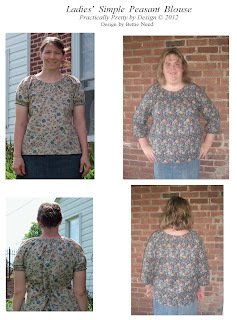 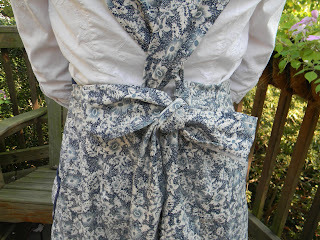 Ladies aprons of this style are $65 and girls aprons from this style are $45. 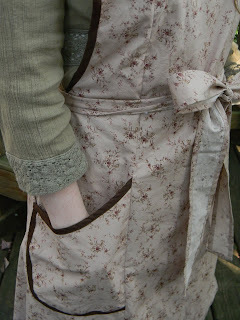 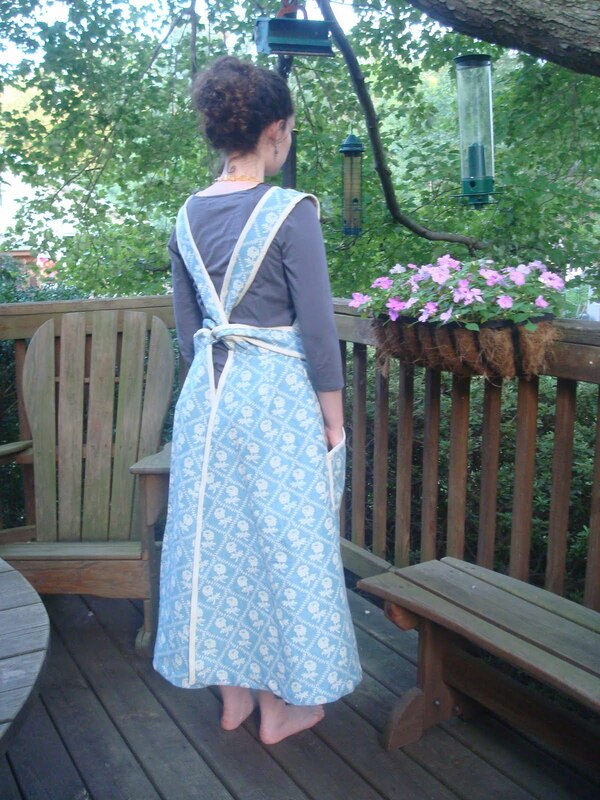 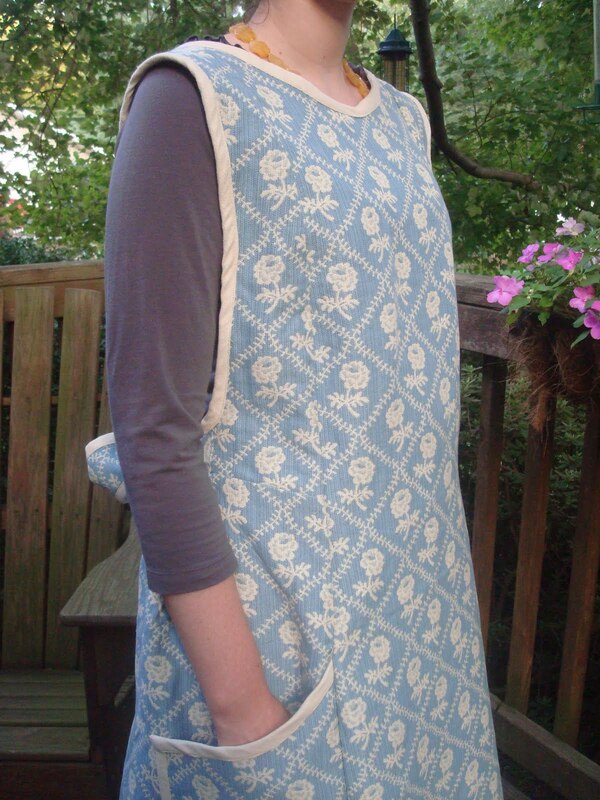 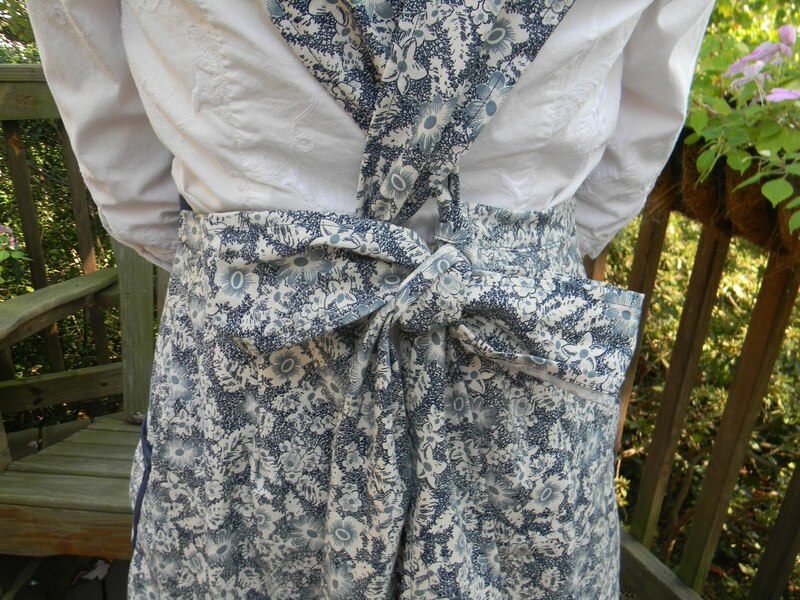 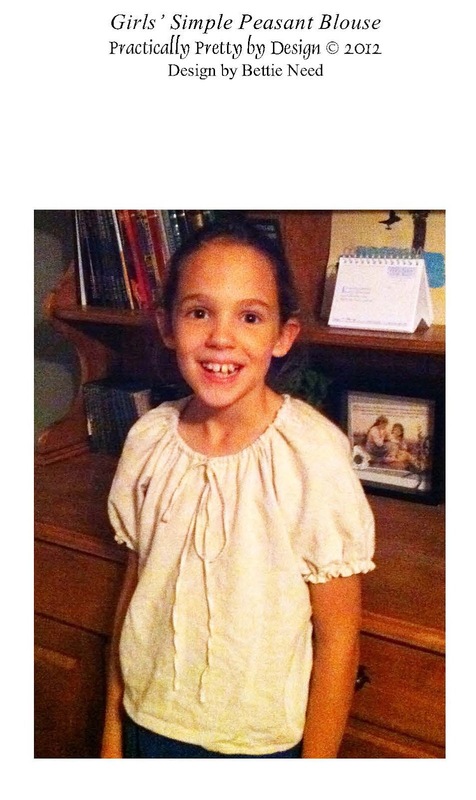 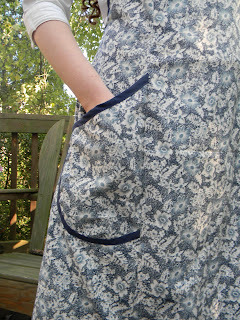 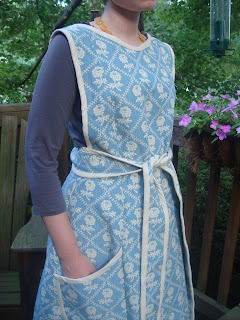 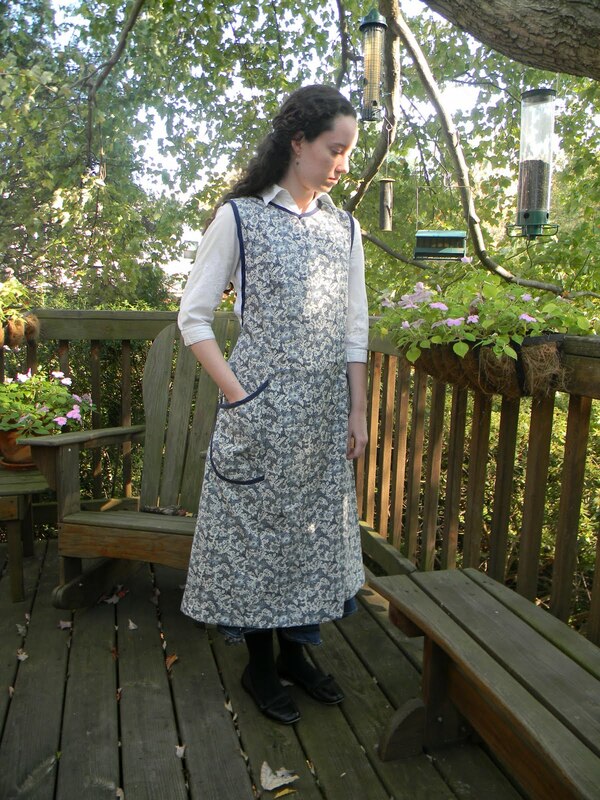 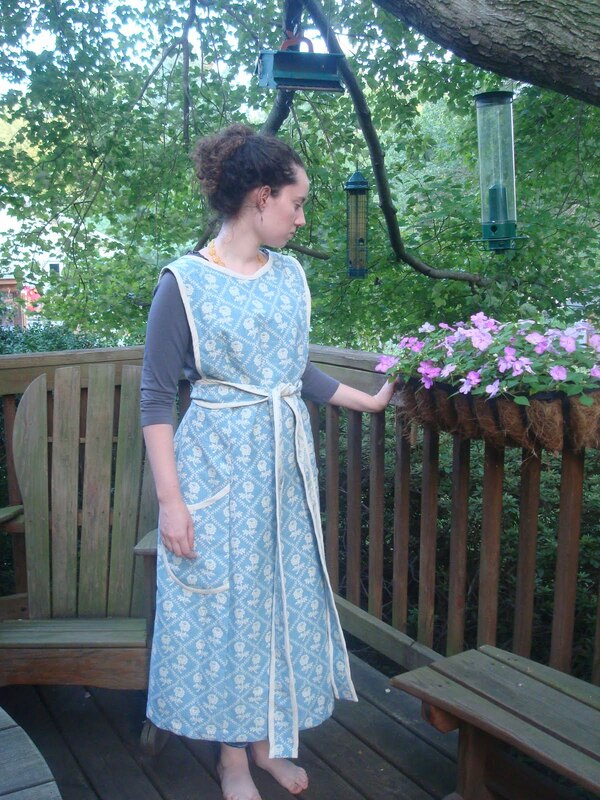 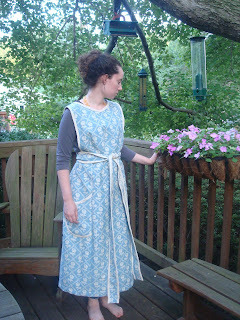 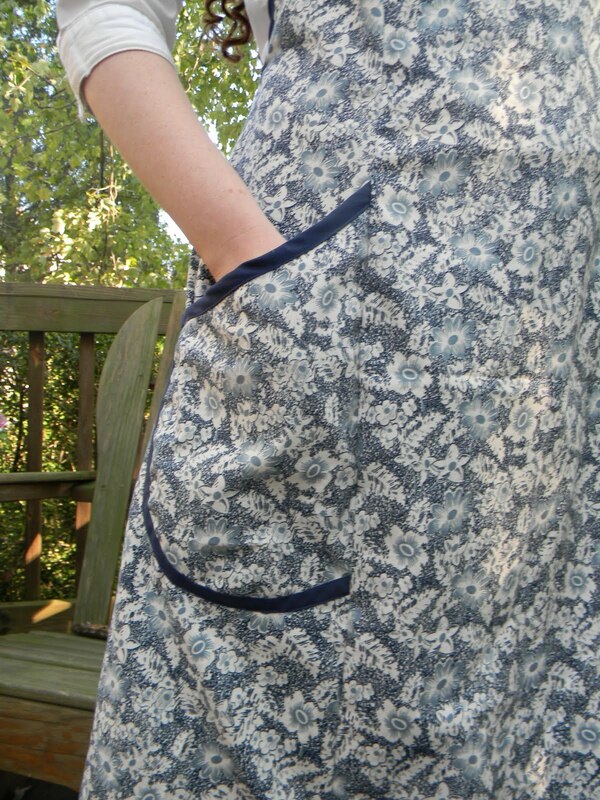 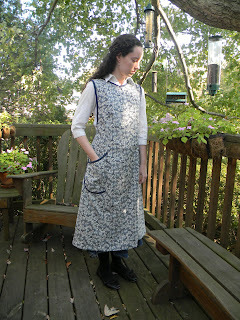 This apron is wonderfully sturdy made up in a home decor print and the sky is the limit with the options for bias trim.